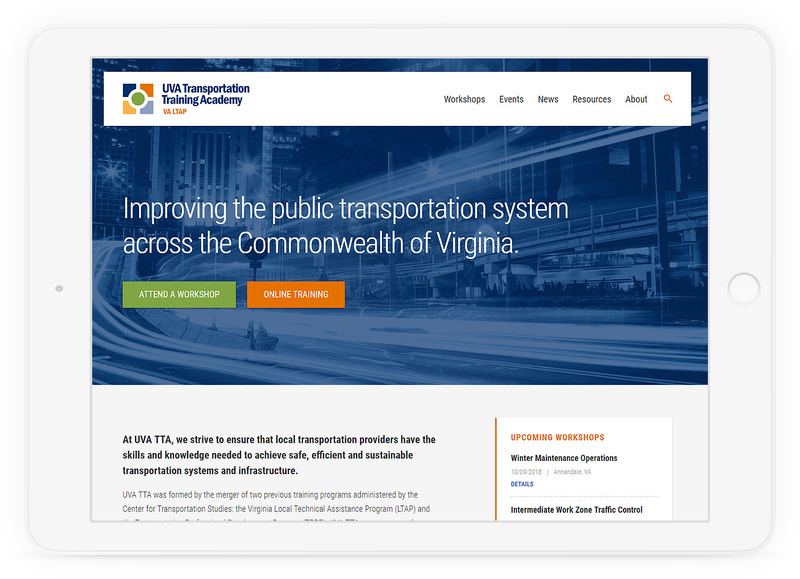 We’ve worked with multiple departments at UVA to develop websites, applications, marketing materials and new logos. 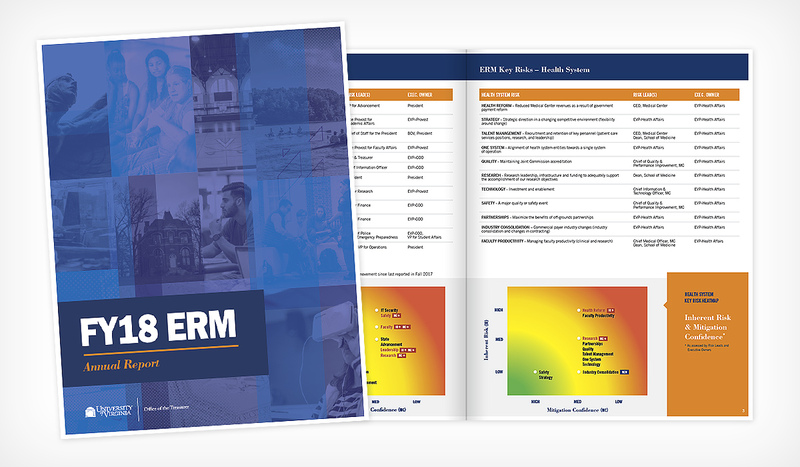 Our challenge was was to work within the existing brand guidelines while creating unique visual designs. 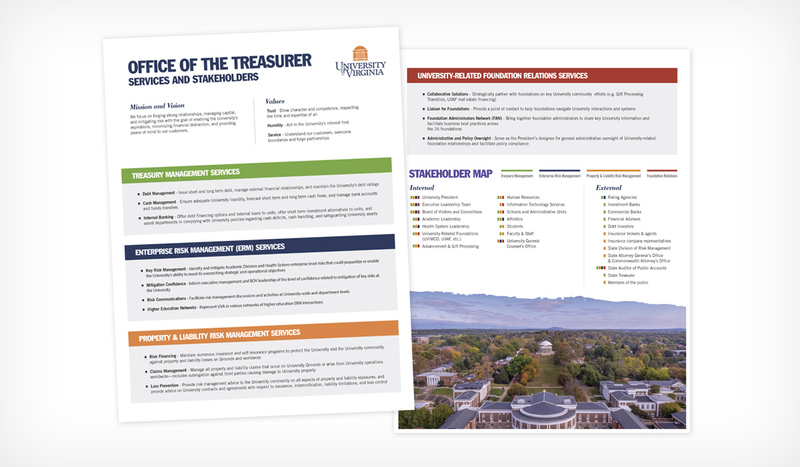 For The Office of the Treasurer we’ve focused mainly on print work including annual reports, newsletters, and helping them develop a unique brand within the UVA ecosystem. 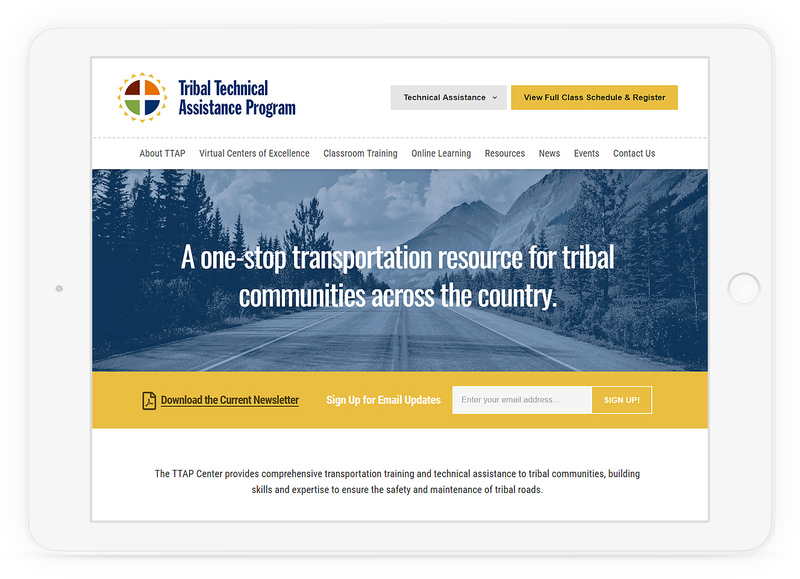 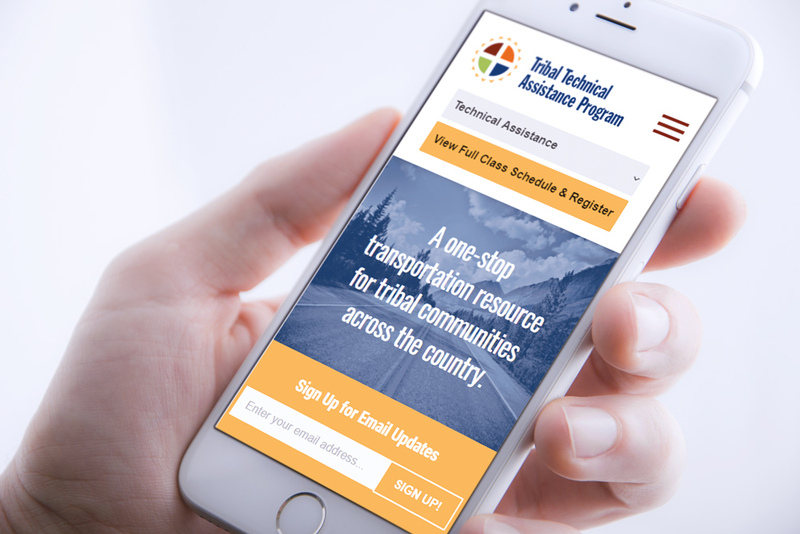 With the Center for Transportation Services we have design and developed several websites, as well as creating a new brand identity for the Tribal Technical Assistance Program, a division of The Federal Highway Administration. 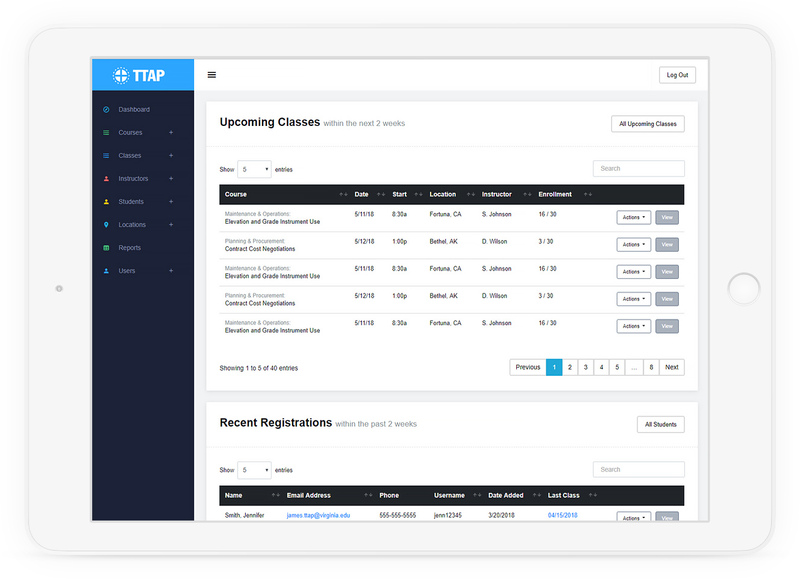 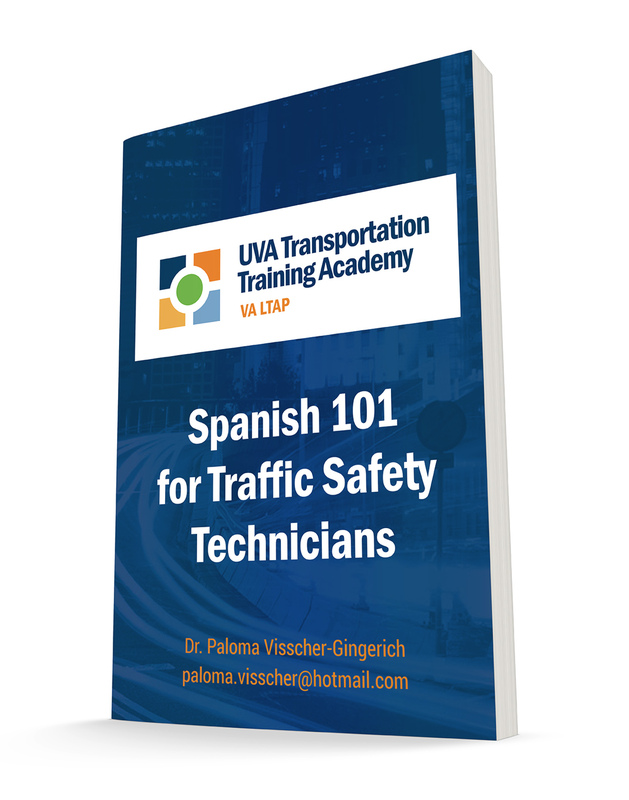 This work has included logo and print design, a public website with resources and schedules, and a robust web application for managing classes, registrations, and communication across the country.